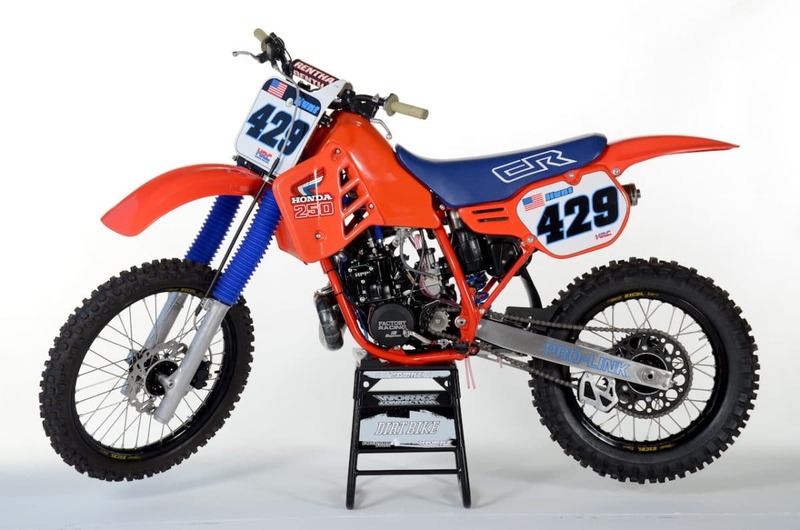 Cameron Hunt gives the Dirt Bike staff an exclusive inside look at his extremely clean 1986 Honda CR250R project in his own words inspired by an article in our July 1986 issue about building an RJ replica. 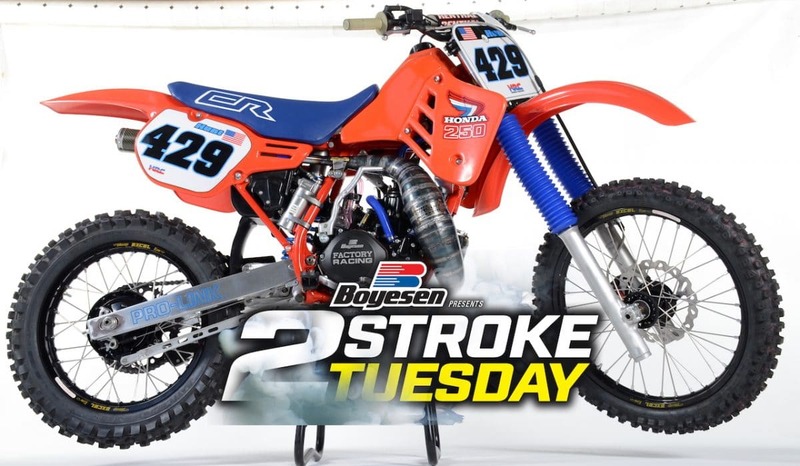 This week’s Two-Stroke Tuesday brought to you by Boyesen will definitely bring back some memories of big hair and neon colors. 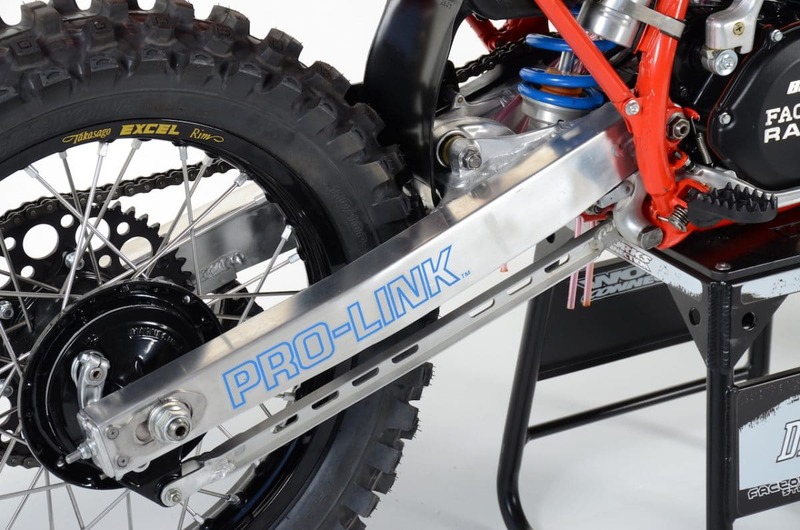 Products from Pro Circuit and Motorex are featured in 2-Stroke Hardware and 2-Stroke Theater is packed with five premix burning machine you don’t want to miss. If you like older Honda two-stroke builds check out the mid ’90s project at the bottom of this post. Jim Bacon aka “Bones” Worked his magic on the suspension which to my surprise had been upgraded at some point to the 87 cartridge forks. They even had to make new dampener rods for the forks. I think just as much work went in the suspension as did the motor. Iain built me a new crank and polished the transmission. We replace the old carb with a new airstryker version from Sudco which is now mated to a Moto Tassinari Vforce 3 reed block to help feed the Mitch Payton ported cylinder which had been repaired and replated by Millennium Technologies. The head had been milled down at some point so Mitch had asked for the entire motor so he could machine the head to ensure the correct compression. Now the upside to this was Jon Primo and Mike Tomlin aka “Schniky” ended up having the wonderful task of assembling the super complicated power valve assembly. It was so complicated that PC actually had built a service bulletin for it in 1986. Carbon Kevlar and Titanium Ti-2 Shorty on a vintage bike? Now that screams factory! Pro Circuit will probably make you one if you have loads of cash and time. Jon Primo helped facilitate most of the coatings on the bike which was performed by “Full Throttle” out of Corona: frame, hubs, triple clamps, and a cerecoated brake caliper/bracket. 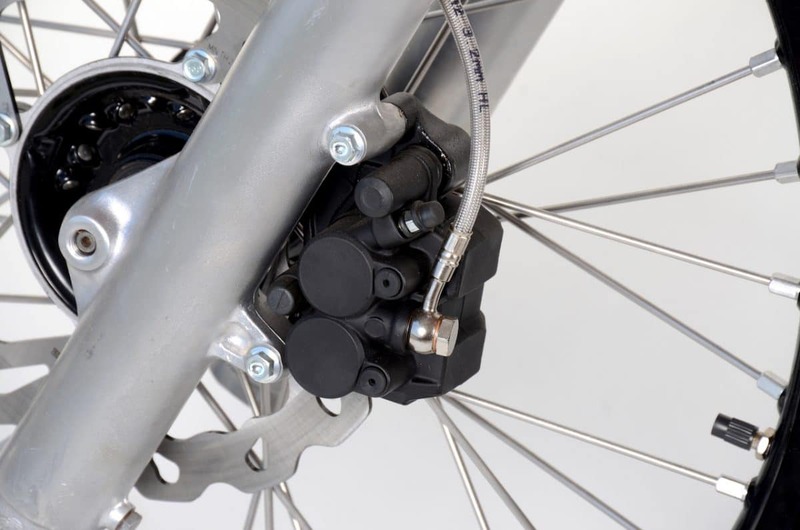 I also wanted to add some stopping power to the bike since it was the last year of the rear drum brake, so I did my research and found that since certain model XR’s have remained relatively unchanged over the decades Galfer made a newer style wave rotor and braided brake lines to give it a bit more bite. The ’80s inner clutch covers are notorious for rotting away so I did a pretty common swap amongst the vintage Honda crowd and installed the 89’ inner clutch cover which is not only aluminum but it also allows for easy access to the clutch basket. The down side to this is you have to run a newer version kicker. It’s also really cool Boyesen is still making the trick sandcast magneto and clutch covers for these older bikes. It also helps that they are based out of PA which is where I am originally from. I reached out to Scott Burnworth as I knew he had some help with the wheels for his 87 RM 125, he put me in touch with Dubya USA who ended up building me the wheels, some drilling was required to get the new rims to mate the oversized rear hub. 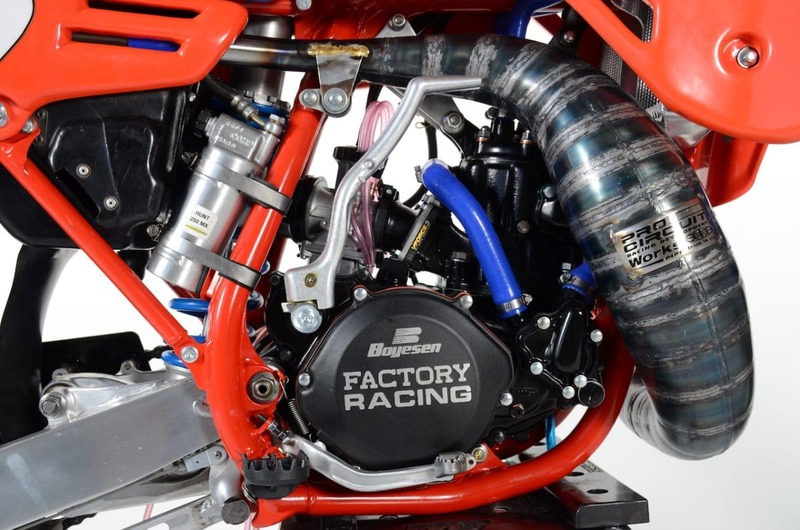 The pipe literally makes the bike, cannot thank Randy Fleisher and Darin Green enough. I actually may have gotten a few people in trouble over the pipe so do me a favor, all of you vintage guys out there, call up PC and order a pipe and silencer. This is the bike that was used for the mock up on the RJ replica works pipe that they are currently selling. Now I am certainly not the first guy to do a 1986 Resto, however most pay tribute to RJ’s factory bike or they look very similar to how they came off the show room floor in 1986. With me being born in the late ’80s my taste in bikes is slightly different. I wanted to keep the bike retro but add just enough modern accents to give the bike a face lift. Some of these accents which are admittedly not era correct are the black rims, wave rotor, black chain sliders/guides, modern clutch perch, black bars, blue silicone radiator hoses and black triple clamps. I also designed the number plate graphics on MotoCal to tie everything in. 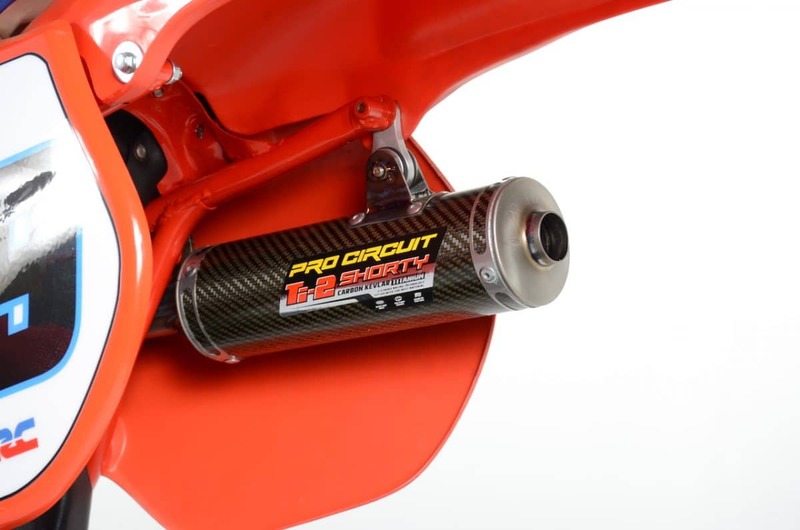 If you have a 1986 CR250R, you will definitely want to consider our Works Pipe and 304 silencer kit. 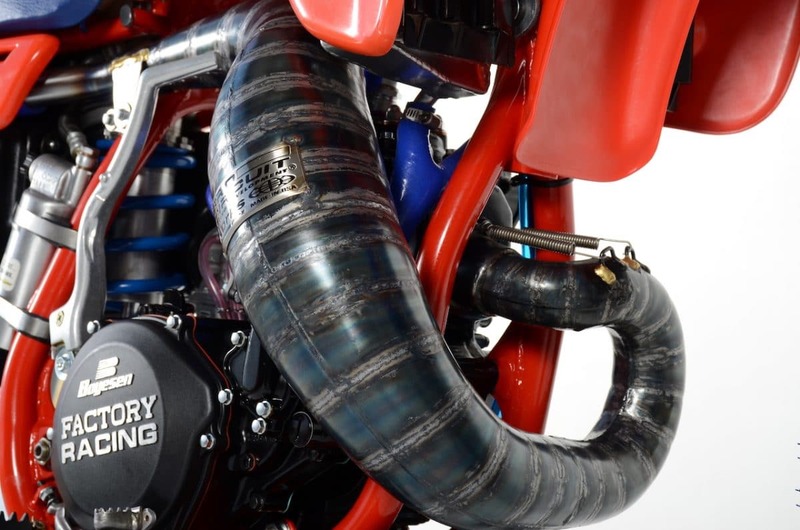 Our Works Pipe offers increased horsepower and torque gains across the entire rpm range. The unplated, oiled metal finish requires some maintenance, but really gives your bike that “works look”. Completing the kit, our 304 Factory Sound Silencer has a slightly longer body that adds top end performance while reducing noise output. The brushed aluminum body and stainless steel inlet tube and end-cap gives you a silencer that looks as good as it performs. 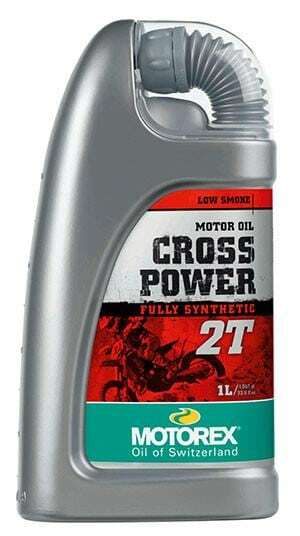 Motorex Cross Power 2T is a fully synthetic high-performance 2-stroke off- road racing oil developed for off-road performance and wear protection to be clean burning with its anti-smoke formula. 2T is save to use in manual premix and Injector/Autolube system applications. 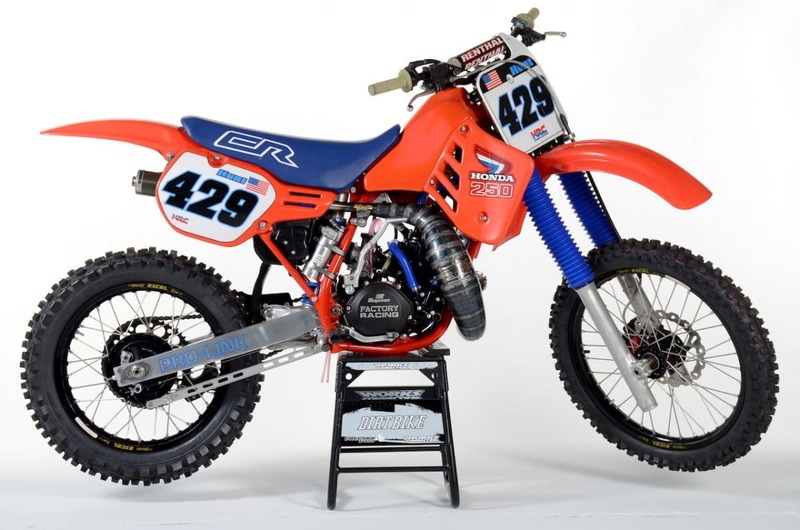 If you like the Honda CR250 featured on this weeks Two-Stroke Tuesday check out our 1995 Honda CR250 “Revo Rocket” project . Click the link or image below to see more.